Faridah Yusof Department of Biotechnology Engineering, Kulliyyah of Engineering, International Islamic University Malaysia, P.O. Box 10, 50728 Kuala Lumpur, Malaysia. Suzana Yusup Department of Chemical Engineering, Universiti Teknologi PETRONAS (UTP), Seri Iskandar, 31750 Tronoh, Perak, Malaysia. ABSTRACT: The ability of microalgae to utilize CO2 during photosynthesis and grow rapidly shows their potential in CO2 bio-fixation to capture and store the gas. However, CO2 capture by this biological approach is very slow compared to chemical reaction-based processes such as absorption using amine or aqueous ammonia. Integration between chemical (aqueous ammonia) and biological (microalgae) aspects might enhance the capturing process and at the same time the microalgae can assimilate CO2 for beneficial bioproduct formation. Thus, it is important to assess the growth of the microalgae in various concentrations of ammonia with CO2 supply. Hence, the main objective of this study is to investigate Chlorella vulgaris growth and its kinetics in aqueous ammonia. To achieve that, C. vulgaris was cultivated in various concentrations of aqueous ammonia between 0 to 1920 mg/L at room temperature (i.e. 27 Â°C) and supplied with 15% (v/v) of CO2 under illumination of 3500 lux of white fluorescent light. Result shows that the maximum growth capacity (Xmax) of C. vulgaris is deteriorating from 1.820 Au to 0.245 Au as the concentration of aqueous ammonia increased. However, no significant change in maximum specific growth rate (Âµmax) was observed. The growth data was then fitted into the logistic growth model. The model coefficient of determination (R2) is decreasing, which suggests modification of the model is required. ABSTRAK: Keupayaan alga-mikro untuk menggunakan CO2 semasa proses fotosintesis dan pembiakannya yang pesat menunjukkan potensi dalam penggunaan dan penyimpanan gas ketetapan-biologi. Walau bagaimanapun, penggunaan CO2 melalui cara ini adalah sangat perlahan berbanding proses tindak balas kimia melalui penyerapan amina ataupun cecair ammonia. Percampuran antara tindak balas kimia (cecair ammonia) dan tindak balas biologi, memungkinkan penambahan proses percampuran dan pada masa sama alga-mikro akan menyerap CO2 bagi kepentingan pembentukan hasil biologi. Dengan itu, adalah sangat penting untuk mengawasi pertumbuhan alga-mikro dalam pelbagai ketumpatan ammonia bersama kandungan CO2. Oleh itu, objektif utama penyelidikan ini adalah untuk menyiasat pertumbuhan Chlorella vulgaris dan proses kinetik dalam cecair ammonia. Bagi memperoleh hasil tersebut, C. vulgaris telah dikulturkan pada ketumpatan cecair berbeza antara 0 ke 1920 mg/L pada suhu bilik (iaitu 27 Â°C) dan dibekalkan dengan 15% (v/v) CO2 di bawah cahaya putih flurosen 3500 lux. Keputusan menunjukkan kapasiti pertumbuhan terbanyak (Xmax) C. vulgaris telah berkurang daripada 1.820 Au kepada 0.245 Au apabila ketumpatan cecair ammonia dikurangkan. Walau bagaimanapun, tiada perubahan ketara pada kadar pertumbuhan (Âµmax) dapat dilihat. Data kadar pertumbuhan kemudiannya dikemas kini pada model pertumbuhan logistik. Model pekali penentu (R2) telah direndahkan di mana cadangan untuk mengubah model adalah diperlukan. Department of Biotechnology Engineering, Kulliyyah of Engineering, International Islamic University Malaysia, P.O. Box 10, 50728 Kuala Lumpur, Malaysia. Azmi AS, Amid A, Puad NIM, Jamal P. (2017) The effect of CO2 concentrations and the injection strategy on Synechococcus sp. PCC7002 culture, Asia Pacific of Molecular Biology and Biotechnology, 25:56-60. Fan LH, Zhang YT, Cheng LH, Zhang L, Tang DS, Chen HL. (2007) Optimization of carbon dioxide fixation by Chlorella vulgaris cultivated in a membraneâ€photobioreactor, Chemical Engineering & Technology, 30:1094-1099. Zhang X. (2015) Microalgae removal of CO2 from flue gas. IEA Clean Coal Centre, UK. ClÃ©mentâ€LarosiÃ¨re B, Lopes F, GonÃ§alves A, Taidi B, Benedetti M, Minier M, Pareau D. (2014) Carbon dioxide biofixation by Chlorella vulgaris at different CO2 concentrations and light intensities. Engineering in Life Sciences 14:509-519. Yeh AC, Bai H. (1999) Comparison of ammonia and monoethanolamine solvents to reduce CO2 greenhouse gas emissions. Science of the Total Environment, 228:121-133. BlinovÃ¡ L, BartoÅ¡ovÃ¡ A, GerulovÃ¡ K. (2015) Cultivation of Microalgae (Chlorella vulgaris) for Biodiesel Production. Research Papers Faculty of Materials Science and Technology Slovak University of Technology, 23:87-95. Ahmad A, Yasin NM, Derek C, Lim J. (2011) Microalgae as a sustainable energy source for biodiesel production: A review. Renewable and Sustainable Energy Reviews, 15:584-593. Spolaore P, Joannis-Cassan C, Duran E, Isambert A. (2006) Commercial applications of microalgae. J. Bioscience and Bioengineering ,101:87-96. He P, Mao B, Shen C, Shao L, Lee D, Chang J. 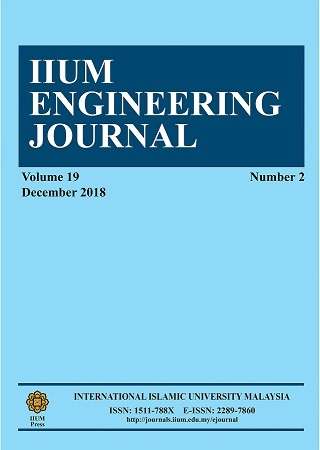 (2013) Cultivation of Chlorella vulgaris on wastewater containing high levels of ammonia for biodiesel production., Bioresource Technology, 129:177-181. Kim J, Lingaraju BP, Rheaume R, Lee J-Y, Siddiqui KF. (2010) Removal of ammonia from aastewater effluent by Chlorella Vulgaris. Tsinghua Science & Technology, 15:391-396. Doran PM. (1995) Homogeneous Reactions. In Bioprocess Engineering Principles, Academic press, London,Great Britain; pp257-296. Peleg M, Corradini MG, Normand MD. (2007) The logistic (Verhulst) model for sigmoid microbial growth curves revisited. Food Research International, 40:808-818. Escalante FM, Reynaâ€Angeles KA, VillafaÃ±aâ€Rojas J, Aguilarâ€Garnica E. (2017) Kinetic model selection to describe the growth curve of Arthrospira (Spirulina) maxima in autotrophic cultures. J. Chemical Technology and Biotechnology, 92:1406-1414. Blair MF, Kokabian B, Gude VG. (2014) Light and growth medium effect on Chlorella vulgaris biomass production. J. Environmental Chemical Engineering, 2:665-674. Sibi G. (2015) Low cost carbon and nitrogen sources for higher microalgal biomass and lipid production using agricultural wastes. J. Environmental Science and Technology, 8(3):113-121. Lehana M. (1990) Kinetic analysis of the growth of Chlorella vulgaris. Biotechnology and Bioengineering, 36:198-206. Converti A, Casazza AA, Ortiz EY, Perego P, Del Borghi M. (2009) Effect of temperature and nitrogen concentration on the growth and lipid content of Nannochloropsis oculata and Chlorella vulgaris for biodiesel production. Chemical Engineering and Processing: Process Intensification, 48:1146-1151. Singh S, Singh P. (2014) Effect of CO2 concentration on algal growth: A review. Renewable and Sustainable Energy Reviews, 38:172-179. Anjos M, Fernandes BD, Vicente AA, Teixeira JA, Dragone, G. (2013) Optimization of CO2 bio-mitigation by Chlorella vulgaris. Bioresource Technology, 139:149-154. Wang B, Li Y, Wu N, Lan C. (2008) CO2 bio-mitigation using microalgae. Applied Microbiology and Biotechnology, 79:707-718. Tam NFY, Wong YS. (1996) Effect of ammonia concentrations on growth of Chlorella vulgaris and nitrogen removal from media. Bioresource Technology, 57:45-50. Dalgaard P, Koutsoumanis K. (2001) Comparison of maximum specific growth rates and lag times estimated from absorbance and viable count data by different mathematical models. J. Microbiological Methods, 43:183-196. Kim J, Lee J-Y, Keener T. (2009) Growth kinetic study of Chlorella vulgaris. AIChE Annual Meeting, American Institute of Chemical Engineers, Nashville, TN, United States; pp 1-6. Przytocka-Jusiak M, Duszota M, Matusiak K, Mycielski R. (1984) Intensive culture of Chlorella vulgaris/AA as the second stage of biological purification of nitrogen industry wastewaters. Water Research, 18:1-7. Santoso A. (2015) Increasing lipid accumulation of Chlorella vulgaris using Spirulina platensis in flat plate reactor for synthesizing biodiesel. Energy Procedia, 65:58-66.